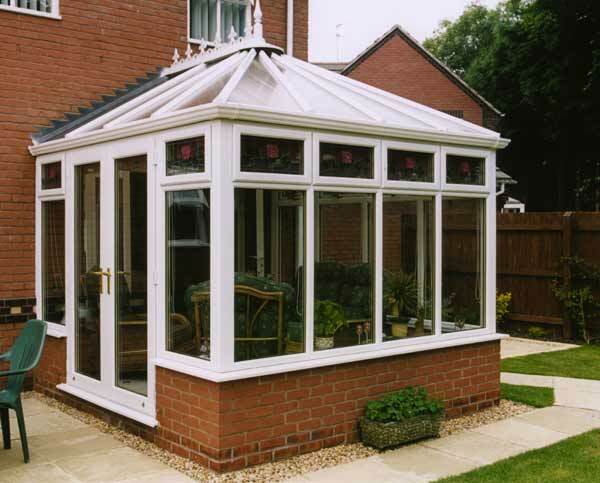 Treat yourself to one of the finer things in life: an elegant Windows2You conservatory. Award yourself somewhere to relax, somewhere light and airy with beautiful views and the scent of flowers.Think how much better you'll feel with a place like that to retreat to, and just imagine how much value you'll have added to your home. We offer a wide range of styles to fit every home and taste, from traditional Victorian and Edwardian styles to modern Sun lounge and gable End designs. 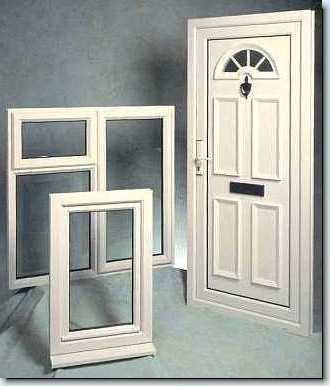 With Windows2You you can even create your own unique combination conservatory to fit your needs exactly. 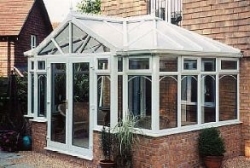 And whichever design you decide on, you can be sure that every conservatory is beautifully made, robust, secure and completely weatherproof. Windows2You offers the complete service, from planning issues to base work specification and construction by our own builders. 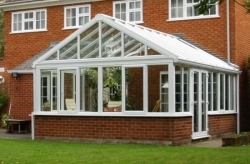 The Edwardian conservatory offers an elegant look with strong bold lines and gives maximum living space for any given area. It is completely adaptable to suit all house styles and bungalows. For bungalows and other height-restricted situations, a hipped-back roof with box gutter is normally supplied. 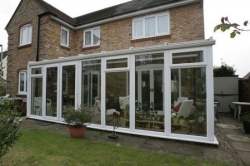 If you prefer the understated, there's a traditional Sunlounge or Lean to Conservatory which offers refreshingly clean lines. 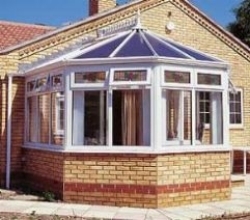 The Gable Front conservatory gives maximum living space for any given area. It is completely adaptable to suit all house styles and bungalows. For bungalows and other height-restricted situations, a hipped-back roof with box gutter is normally supplied. 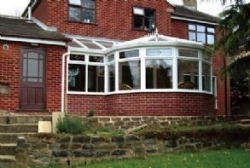 The P-Shaped conservatory is a combination of both Sunlounge and either Victorian, Edwardian or Gable-Front style self build conservatories. It is completely adaptable to suit all house styles and bungalows. For bungalows and other height-restricted situations, a hipped-back roof with box gutter is normally supplied. This style can be varied so that the Sunlounge section is at either side. 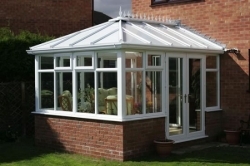 The T-Shape conservatory is a combination of both Sunlounge and either Victorian, Edwardian or Gable-Front style self build conservatories.